Here ye, here ye! 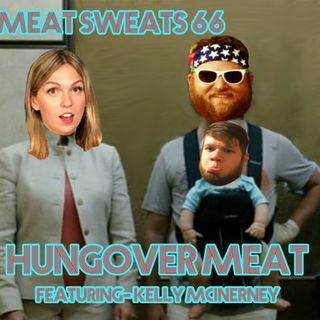 Its Meat Sweats 66 featuring the ever precocious Kelly McInerney! Kelly is a Los Angles based comedian and host of the wildly successful IMDweed podcast. We met at the 2017 Big Pine Comedy Festival, and regretted it ever since! She took me out drinking the night before we recorded this episode, aggressively taking away my manhood as she drank me under the table.